Holy Moly. You guys. 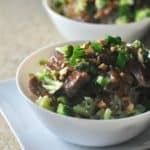 These easy slow cooker potatoes were featured on the Rachael Ray show! Say what? Right?!? They called me and asked if they could show them in a segment and I said, “Yes!! !” During the full segment Rach asked for my Bacon Chili recipe. And I fainted. 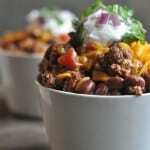 You can find that Bacon Chili recipe in my Freezer Meals for Moms ebook. Without enough time on the grill or in the oven, baked potatoes are an easy side dish to undercook. And no one likes an undercooked potato. It’s actually an ongoing debate in our house when my husband is playing grill master. All the other food is done cooking and there sits the giant potatoes on the grill, still cooking. And the kids and I eagerly await dinner. What usually happens is that we pop the potatoes in the microwave so we can start dinner. Potatoes are inexpensive and an easy side dish but also can make an easy meal on busy nights by making a baked potato bar. But can you imagine trying to bake 6 giant potatoes on a weeknight? I don’t think so. 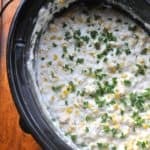 So we’re going to make Crock Pot Baked Potatoes that doesn’t involve heating up the grill or oven! 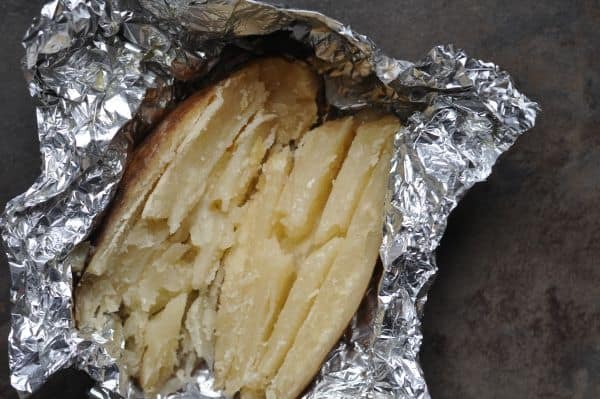 Preparing the potatoes is super easy, just wash and rub with salt and olive oil, wrap in tin foil. I did this before work and only took a few minutes. After ten hours on low in your slow cooker, you have perfectly soft and flaky Crock Pot Baked Potatoes. For an easy meal idea, serve the baked potatoes with a variety of toppings. 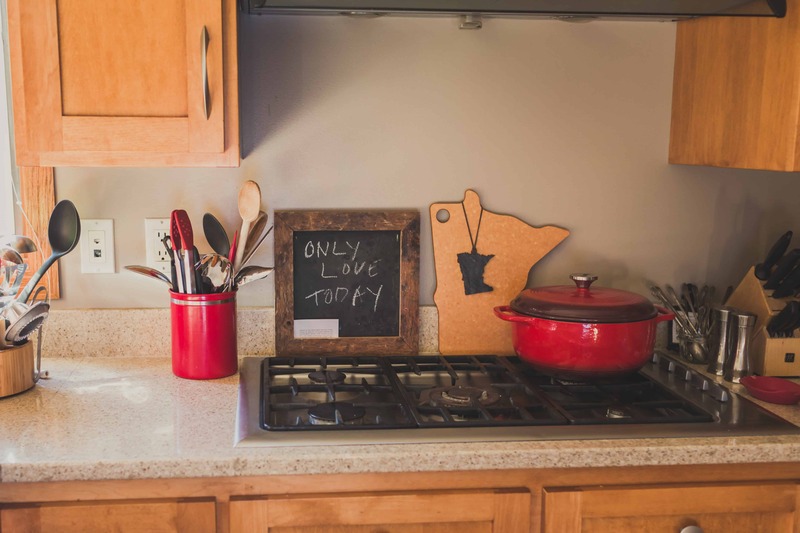 You can do a theme, defrost some chili and serve with chili fixings, or taco toppings. Or keep it simple and top with cheese, your favorite meat and veggies. Wash potatoes. Then brush each potato with olive oil and salt as desired. Prick each potato with a fork and wrap in tin foil. 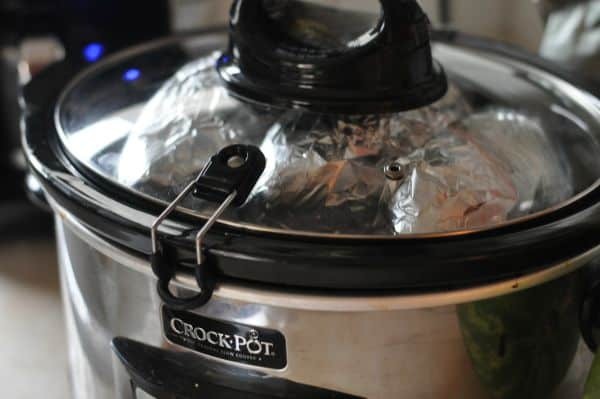 Cook in slow cooker on low for 10 hours. 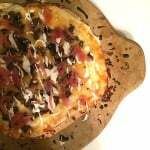 Remove from foil and garnish with desired toppings. 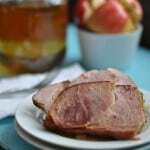 This entry was posted in Crockpot, Recipe and tagged crock pot, meal planning, potatoes, slow cooker by Alice Seuffert. Bookmark the permalink. 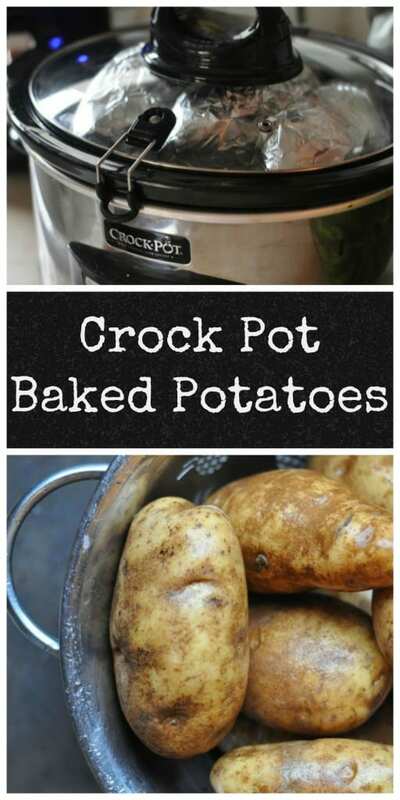 When cooking 3 baking potatoes in the crockpot would you reduced the time from 10 hours? Hi Julie! 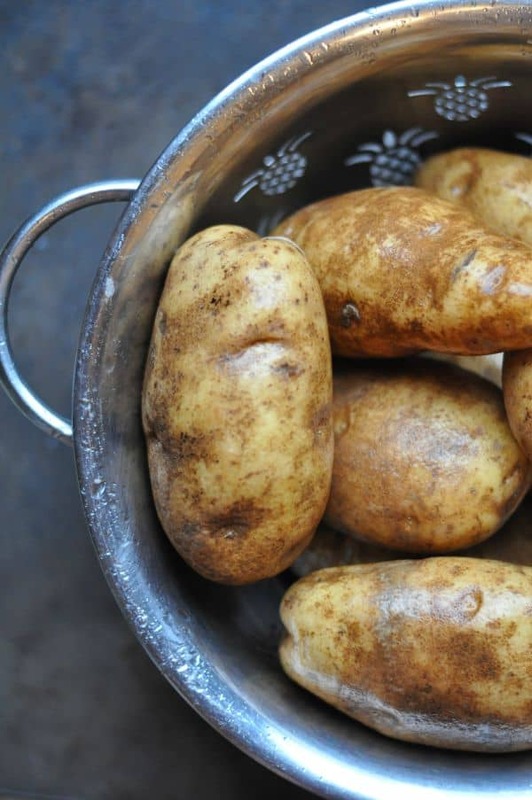 I haven’t tried just a few potatoes, I really like to use the full amount and then I serve a few for dinner and then make mashed potatoes or even freeze the remainder. Thanks for writing. Have you ever done them on high for 4-5 hours? Hi Sommer! I haven’t tried reducing the time and increasing the temp. If you try it, let me know what you think! The color just changes. Now if you do sweet potato put in last cooks faster and will get so soft it will flatten out watch them. You can also do corn,I butter and salt and pepper michne roll in foil put on top of potatoes cook all at on time. 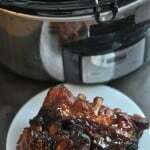 Do you think you could cook ribs at the same time in the crockpot? I’m thinking a one pot meal. Thanks for the advice!